Are your looking for a vehicle that is in great condition and more affordable than a brand new vehicle? At Haggerty Ford, we offer an excellent selection of certified pre-owned vehicles so nearby Carol Stream car shoppers can get some new car benefits with a lower price tag from Chicagoland ford dealers. All of our certified pre-owned models have passed a rigorous inspection process to ensure whichever vehicle your drive home is of the highest quality. Each certified pre-owned vehicle costs much less than a new vehicle, but offers drivers more recent model years and up-to-date technology than a general used vehicle. Combined with our affordable financing options, you can rest easy knowing you’re getting the best deal. 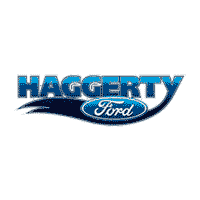 For quality vehicles at an affordable price, contact us at Haggerty Ford near St. Charles today!